Here’s a fun system designed to take care of some of the headaches involved in breadboarding a circuit. It is is a simple set of template files drawn to scale with real world electronic components. 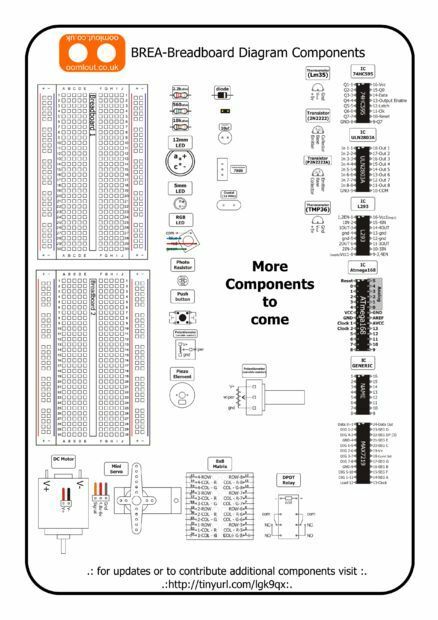 Using a vector drawing program you simply move the components onto the breadboard template, draw a few wires and print the result (if you’re old school you can print the template and use scissors and glue). 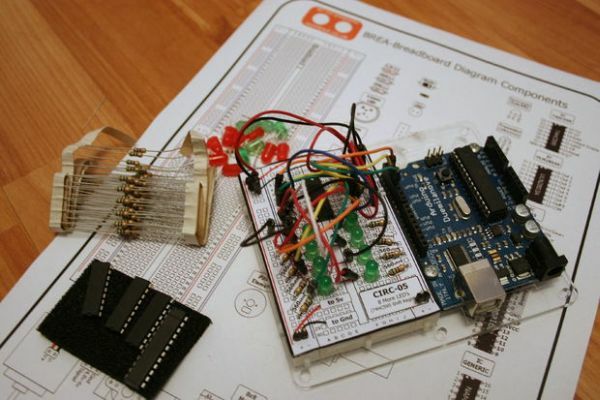 Pin the template to your breadboard, place the components and wires, and you’re good to go. Better yet if a wire later falls out its easy to pop it back into place. There are two options for this step. One a little ahead of its time and the other a little past its time. Inkscape is an Open Source vector drawing program. Its a little rough around the edges at the moment but it is only getting better, and when looked at in its entirety pretty impressive. Along with the Inkscape format all the files in this instructable are also available as .pdf. What this means is you can download the PDF print it out and then use old fashioned glue, scissors and pen to make your templates. Or you can also download pre-drawn circuits from step 3.